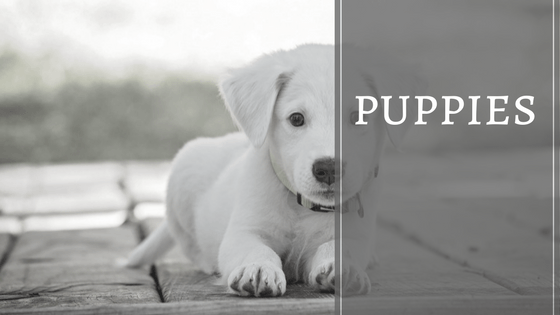 On this page you will find a collection of articles at iPupster that are puppy related. There is nothing sweeter than welcoming a new puppy into your home, those inquisitive eyes and little paws bouncing everywhere and sniffing everything and tail going a hundred miles an hour. Our puppies section will cover all you need to know to welcome your newest member into your home from the time it is just but a young pup to an adult dog. It’s important to socialise a puppy from a young age and introduce them to their surroundings both internally and externally so he won’t be afraid as he grows up but becomes confident in the process. This process starts from the moment they arrive home and continues for a few weeks though somewhat a slower pace. The benefits of crate training your puppy is something I recommend you don’t skip. Finding the right crate is equally important. Too small and you will stress your puppy out and too large a crate, and your puppy might take it as a toilet. Check out our buying guide for selecting the right crate. Puppies require a specific diet from very early on in order to get all the right nutrients and balanced amounts of proteins, fats and carbohydrates. Because they burn a lot of energy in the first twelve months foods should be rich in protein and in fats and have limited carbs. There is also the argument that smaller breed puppies require a different diet than large breed puppies. The latter need to watch the calcium and phosphorus ratio on the label as well as the calories in order to prevent bone and joint disorders when they get older. Learn how to read food labels, the distinctive differences between small breed and large breed puppy foods and a list of recommended foods. A newborn puppy requires similar attention as a newborn baby. The first few months of their lives are vital to ensure you have a happy and healthy pup in the long run. The following articles delve into some of the most important aspects of a puppy's early life. Keep an eye on this section since we will be adding more relevant content. What is the best room temperature for a newborn puppy? Puppy's first visit to the vet - what to expect? Early training guarantees success and an obedient pup. Below are some useful guides on how to train your puppy. How To Teach a Puppy Its Name? Puppy Topics You'd Like to See? If you would like me to cover other puppy-related topics, please do so by getting in touch with me through ﻿﻿here. All suggestions are welcome since we would like for this to be a comprehensive and useful guide to puppy ownership. I just wanted to finish by sharing with you a pretty useful video on the essential items you'll need when welcoming your newest furry addition into your home. These might be basic items you need, but it's amazing how we overlook them. It's short and sweet, so enjoy!